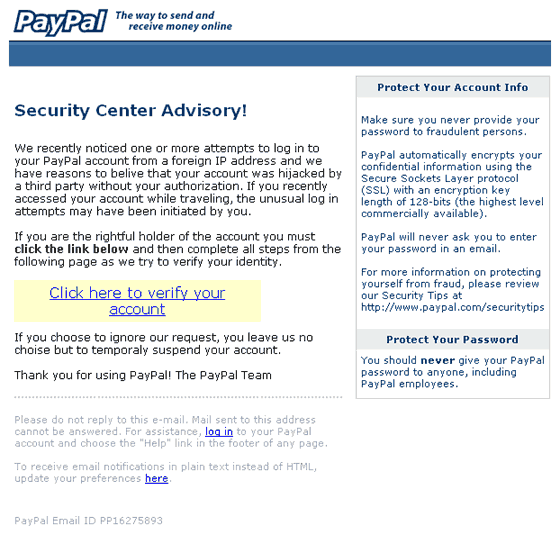 This spoof Paypal email (see image below) leads to a bogus Paypal web site (see image of first page below) which requests your email and subsequently your credit or debit card details. 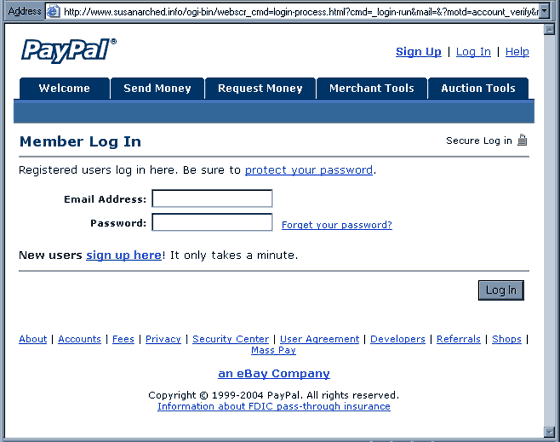 This is quite a complex ruse with multiple forged Paypal pages. The URL of the bogus content should give the game away - http://www.susanarched.info/ogi-bin/......... - which resolves to web space operated by netfirms.com. If you have received this email, please remember that it is very common for these spoofs to be redistributed at a later date with only slightly different content or the same but with the fake page(s) hosted by a different provider. Also, once you have received one of these hoaxes, it is also common place to receive at least another one and usually a day or two after the first, although not necessarily from the same apparent sender.